Will Gardner has over thirty years of experience in real estate development and construction management of primarily office and industrial facilities. His education includes a Master of Science in Construction Management from Clemson University and Graduate studies in business and finance at Georgetown University, Washington, DC. Will has led the development and construction management of millions of square feet of corporate office, medical office, manufacturing and distribution projects from site due diligence, acquisition, project finance, and overall project management through permitting, design, and construction. Currently, Will leads Chesterfield’s build-to-suit development program with responsibility for successful project delivery and financial structuring of lease and purchase options for Chesterfield’s clients. 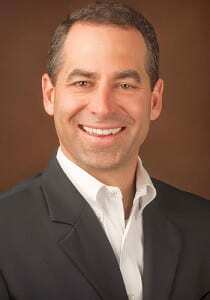 He is the CEO of Chesterfield and is based in Chesterfield’s Florida headquarters located in Winter Park. Department of Veterans Affairs on a 65,000 square foot medical office building and a 2,400 car parking garage, approximately 800,000 square feet; Physicians for Better Jacksonville on a 110,000 square foot medical offices, imaging and surgery center; 250 acre corporate campus for Southeast Toyota Distributors with class A office headquarters, nine assembly and distribution buildings, and eight rail tracks extended into the property from the Norfolk Southern mainline; 80 acre corporate office park, six office buildings from 100,000 sf to 180,000 sf, including build-to-suit for Lexmark; 70 acre corporate office park, seven office buildings from 60,000 sf to 200,000 sf, including build-to-suits for Bombardier Capital Florida Headquarters, and Atlantic Mortgage (now ABN AMRO); 160,000 square foot corporate office and operations center for Homeside Lending (now JP Morgan Chase); and numerous other corporate office and industrial projects. Chance Raehn has over twenty years of experience in master planning, civil engineering and project development of industrial sites and facilities. His education includes a Bachelor of Science in Civil Engineering from Florida State University. Chance has led the master planning for over 125 million square feet of industrial projects and the civil engineering of over 30 million square feet of manufacturing and distribution facilities throughout the Southeastern United States. Chance currently leads the management of Chesterfield’s national contract with Great Dane Trailers which includes project management/owner’s representation services for repairs and expansions of their approximately 30 plants and branches located across the United States. Chance is a Principal in Chesterfield’s Georgia office located in Savannah and is active in managing Chesterfield’s land development and build-to-suit projects. IKEA on a 750,000 square foot distribution building; Great Dane Trailers on a 450,000 square foot refrigerated trailer manufacturing facility; Firth Rixson (Alcoa) on a 200,000 square foot aerospace manufacturing facility; Gulfstream Aerospace Corporation on multiple manufacturing and paint booth facilities; Mitsubishi Power Systems on a 400,000 square foot turbine manufacturing facility; Daimler Chrysler on a two million square foot automobile manufacturing facility; TBC Corporation on a two million square foot tire distribution facility; Pier 1 Imports on a 750,000 square foot distribution facility; EFACEC on a 400,000 square foot electrical transformer manufacturing facility. Tim Kastens has more than 13 years of real estate industry advisory and construction management experience in industrial and institutional projects. His education includes a Master of Science in Construction Engineering and Management from Virginia Polytechnic Institute and State University (Virginia Tech), an M.B.A. from the Carey Business School at Johns Hopkins University and Civil Engineering studies at the Technical University of Braunschweig, Germany. A native of Germany, Tim holds dual German-US citizenship and has 7+ years of experience bridging cultural and technical understanding gaps between German and U.S. clients on transatlantic real estate initiatives. Located in Washington, D.C., one of Tim’s primary responsibilities is leveraging his German engineering background and in-depth understanding of the U.S. real estate and construction industry to act as a technical and cultural liaison for Chesterfield. He serves as local point of contact to provide Chesterfield’s German-speaking clients the peace of mind that their technical and financial requirements are fully understood and no technical details are “lost in translation”. Tim’s experience includes site analysis and due diligence, zoning and entitlement reviews, project feasibility assessments and financial analysis, stakeholder coordination and communication, preparation of solicitation documents, and design and construction team selection and management. 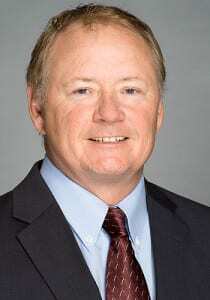 He has executed complex industrial and institutional upgrade, renovation / expansion and new construction projects during his tenure as project manager with the Whiting-Turner Contracting Company. Tim is a member of the German Executive Roundtable in Washington, D.C. and a licensed Real Estate Salesperson in the District of Columbia and the Commonwealth of Virginia. Mrs. Kaycee Gardner joined the Chesterfield team in 2018 and currently serves as a Senior Vice President of Development. 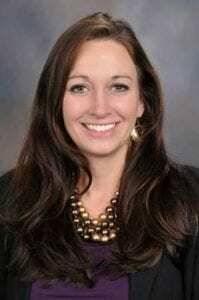 A graduate of the University of Missouri – Kansas City, Mrs. Gardner received her Bachelor of Science degree with a minor in Chemistry and a concentration in Biology. Upon completion of her undergraduate degree, Mrs. Gardner attended Barry University where she received a Master of Science degree in Biomechanics. Prior to joining Chesterfield, Mrs. Gardner worked at CBRE, and served as a Senior Vice President of Brokerage in Orlando, Florida. From 2007 to 2017, Mrs. Gardner worked at JLL as a Senior Vice President. In 2010, Mrs. Gardner relocated from Orlando and opened the JLL Jacksonville Corporate Office, where in just 5 years she closed transactions amounting to over $550 million in revenue – including more than $150 million in 2017.Mrs. Gardner provided national account transaction management services for the Staubach Organization and worked as the primary liaison between Staubach and AT&T on a regional level. She has acquired extensive experience in Tenant Representation and throughout her tenure at JLL was responsible for facilitating more than 4 million square feet of commercial leasing transactions in the Central and North Florida markets. Representative corporate office clients include Deutsche Bank for 300,000 SF, Ally Bank for 200,000 SF, Wells Fargo for 130,000 SF, CIT for 120,000 SF, RS&H for 76,000SF and Holland Knight for 50,000 SF. 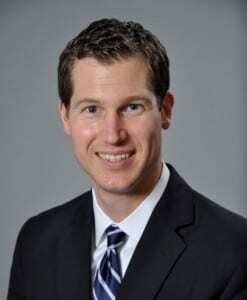 Matt Kuykendall joined Chesterfield as Vice President of Development in 2019 and is currently responsible for overseeing and managing development projects throughout the Southeast, with a primary focus in the Savannah region. 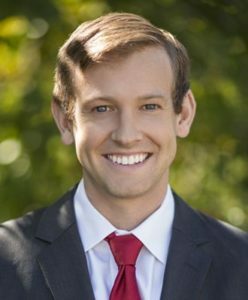 Matt received his education from Vanderbilt University, where he graduated with a Bachelor of Engineering in Civil and Environmental Engineering. He has 9 years of experience in a diverse mix of commercial development projects; including light industrial, corporate and medical office, multi-family, and retail development. Prior to joining Chesterfield, Matt worked at Holladay Properties as a Development Manager, where he oversaw projects in the Greater Nashville Metropolitan area and assisted in the evaluation of new opportunities in the region. At Holladay, he was managing Airport Logistics Park, which included 425,000 square feet of flex-industrial buildings with a $36M budget and a 30-month timeline in the first two phases. His early career was spent as a civil engineer developing skillsets in master planning, engineering, and management, while pursuing and obtaining his Professional Engineer’s license in the State of Tennessee. Matt has acquired invaluable experience in acquisitions, the predevelopment process, project management, and lease negotiations and brings this experience to the Chesterfield team to provide additional support for Chesterfield’s growth in all markets.